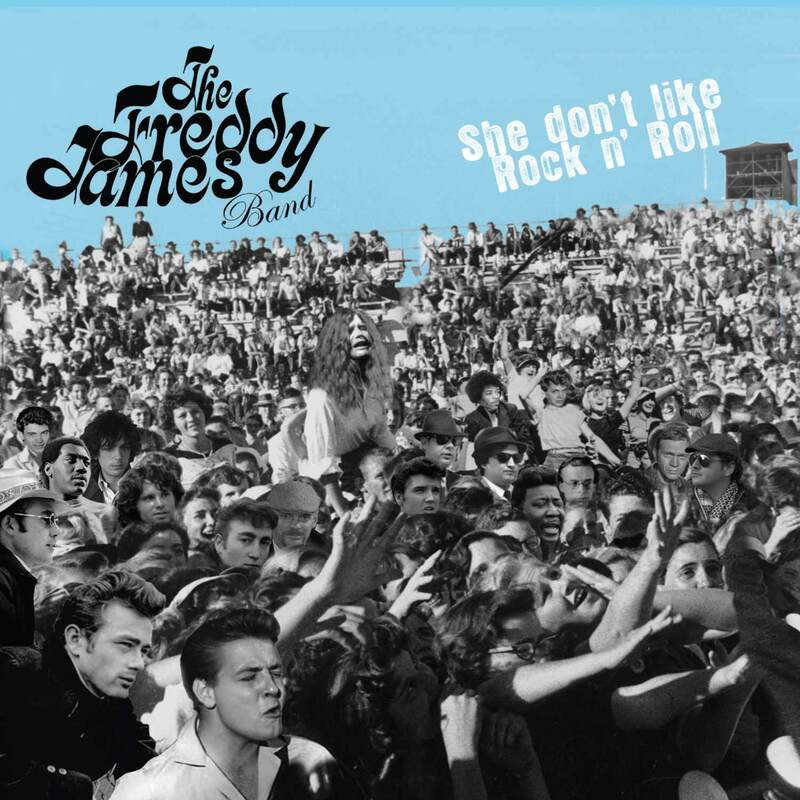 Blues rock, psychedelic fusion group The Freddy James Band formed in August 2013, fronted by vocalist, guitarist and songwriter, Freddy James. The band have gigged at London’s top venues and now release their first single She Don’t Like Rock n Roll. The band contains Freddy James on vocals and guitar, Neil Cox on drums and Jim Harrison on bass. Aged 5, inspired by his father’s music collection, Freddy James stood on some old boards in the garden pretending to be on stage and playing a guitar. Surrounded by the music of Duane Eddy, Johnny Winter, Muddy Waters, Harvey Mandell and Jimi Hendrix, it was no surprise Freddy got into music, especially when his parents gave him a guitar for his eighth birthday. Neil Cox started playing drums at 14 and took up lessons from Bob Armstrong, whose own drumming and tuition career make him one of the best. Inspired by his favourites such as Weather Report, Parliament, The Police, Led Zepplin and Jamiroquai, Neil took up the drums after watching Stuart Copeland in The Police and drummer Buddy Rich, who toured with his orchestra in the 70s and 80s. Jim Harrison started playing music at school when he took up the bass aged 13, which led onto learning electric guitar and drums. Also a fan of Led Zepplin, Jim’s Influences also include Jeff Buckley, The Beatles and many more.